Tags: velvet, maple, Red, beige, 1960s, Jens Risom, chair, lounge chair, mid century, 1950s. 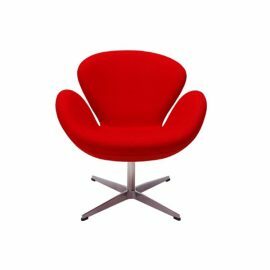 Jens Risom (1916-) holds the distinct honor of being one of the first designers to exclusively design a chair to be produced by Knoll. His Scandanavian influences can be seen in the lines of the Beverly Lounge Chair. 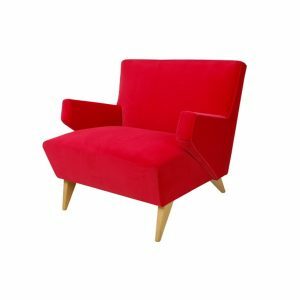 Elegant tapered maple legs form the base of the Beverly Lounge Chair upholstered in a cozy red velvet fabric. 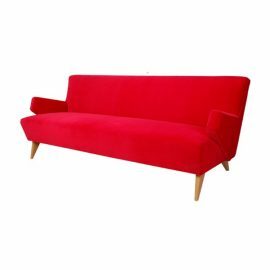 As Risom once quipped, “Good design means that anything good will go well with other equally good things.” and surely the Beverly Lounge Chair is no different and may be a standalone piece or be paired with its companion sofa. 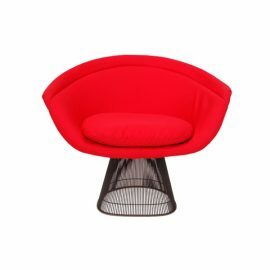 Our selection of mid-century lounge chairs are available for any type of event. FormDecor Furniture Rental provides delivery in Los Angeles and Southern California. We do ship nationally through select freight carriers.